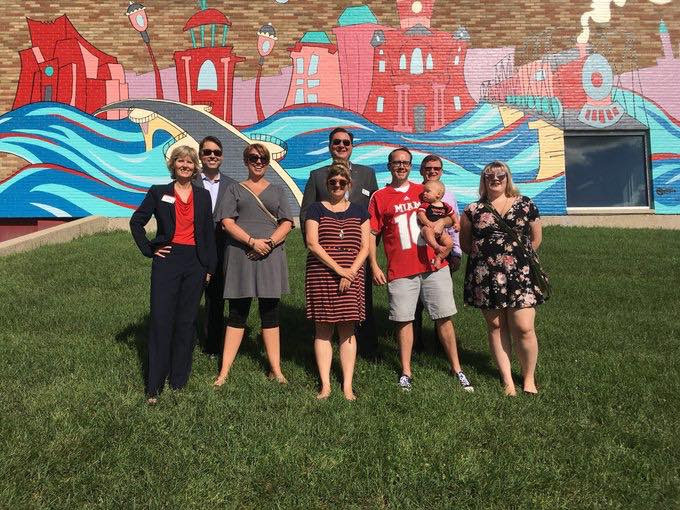 While the students were busy at work beautifying Cincinnati this summer, OHHS Art and Design teacher Jamie Schorsch was creating a large scale mural for the Miami University Regionals: Hamilton Campus. Schorsch was a part of a team of three other local artists working with StreetSpark on the creation of the mural. Stephen Smith designed the mural selected for the Miami University Regionals Hamilton campus as a part of their 50th-anniversary celebration...this is also the first mural on ANY of the Miami University campuses!